GoToMyPc is a type of remote desktop software or operating system feature that allows the remote running of a personal computer (or server as the case may be), from a separate system, as long as it is connected to the internet. With this software and the use of a web browser, you can easily handle tasks such as access emails, files, programs and other network resources from anywhere you are. GoToMyPc was originally developed by Klaus Schauser and Brian Donahoo of ExpertCity in Santa Barbara, California. The software was launched in 1998 as a way to help people take their work home with ease. With GoToMyPc, you can work on your office computer from your home, easily and securely, with just an Internet connection. It provides workers with remote access to large data stores on their office desktops, to applications/software that might be too costly to operate on home computers, and more importantly, to avoid the possible loss of important desktop data in the case of the theft of a personal computer. The software was designed to require the Microsoft Windows operating system for operation on the two systems involved. However, by mid-2001, it released versions that were compatible with Linux, Macintosh, Palm, Solaris, and Windows CE operating systems. In 2003, American multinational software company, Citrix Systems took note of the advancements of ExpertCity and went ahead to purchase it for $225 million in a cash and stock deal. GoToMyPC has three user plans that have been designed to cater to specific needs. They are GoToMyPC Personal, GoToMyPC Pro, and GoToMyPC Corporate. Inclusions: 1 user with one or more computers to access, Unlimited Remote Access, End to End Encryption, File Transfer & Sync, Remote Printing, Mobile Apps, Free 24/7 Support. Inclusions: 2 to 50 users with multiple computers to access, Unlimited Remote Access, End to End Encryption, File Transfer & Sync, Remote Printing, Mobile Apps, Free 24/7 Support, Administration of Accounts & Users, Central Billing for Users, Easily Switch Users, Monitor Usage, and Comprehensive Reporting. Inclusions: 10 or more users, Unlimited Remote Access, End to End Encryption, File Transfer & Sync, Remote Printing, Mobile Apps, Free 24/7 Support, Administration of Accounts & Users, Central Billing for Users, Easily Switch Users, Monitor Usage, Comprehensive Reporting, Dedicated Account Manager, Wake on LAN, Manage Groups Features and Security, More than 1 Administrator. 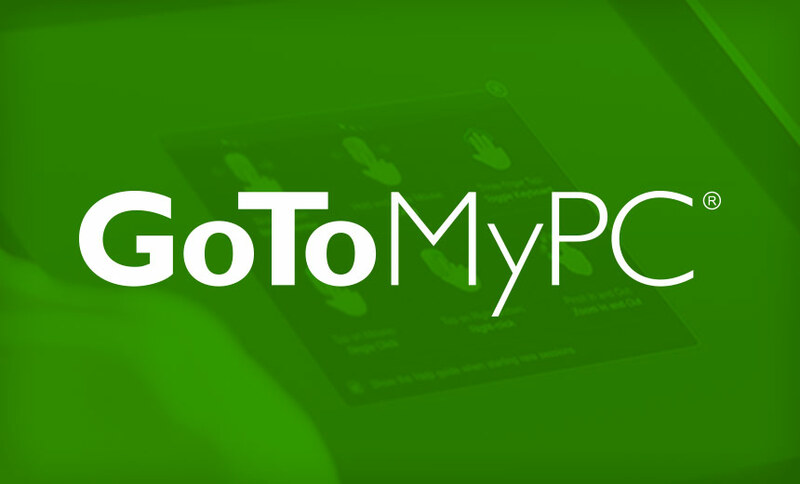 Follow these steps to download and install GoToMyPC on your computer. 1. On the host computer on which you want to install the GoToMyPC software, visit www.gotomypc.com to either buy or try the free trial version of the software. After completing registration, you will be taken to a download page, click the ‘download’ button and save the installer “gosetup.exe” to your desktop. 2. Locate “gosetup.exe” on your desktop and double-click it to start and then follow the instructions to complete the installation. The “MY PC” icon should then be visible in the system tray. 3. Head to the remote computer and log in at www.gotomypc.com and connect to the host computer on which you set up GoToMyPC. The login details will be a registered email address and password of your choice. I’m InTouch was developed and marketed by Canadian tech company 01 Communique. Like GoToMyPC, I’m InTouch is also a remote control software program that allows users access and control another computer over the internet. In 2006, 01 Communique filed a patent infringement lawsuit against Citrix Systems, saying that it had filed for a patent in 2000 and obtained one from the United States Patent and Trademark Office (USPTO) in August 2005 for I’m InTouch. It further claimed that GoToMyPC had infringed on their patent. The two companies were embroiled in the issue until 2014 when Citrix filed a counter-complaint alleging patent infringement by 01 Communique as it requested a “declaratory judgment” saying that GoToMyPC did not infringe on the I’m InTouch patent. Later that year, the two companies withdrew their complaints against each other and reached an out of court agreement. Splashtop is another very good alternative to GoToMyPC although it was specifically designed for business professionals, IT, MSPs, support, help desk, education, and consumers. Also unlike GoToMyPC, Splashtop offers a wider variety of products and plans that cater to different demands. Anyplace Control is a Windows-based remote control software program that allows the control of a remote PC either through the internet or through a local network. With this software, users can perform functions like display a remote computer’s desktop in real-time mode, remote PC control, file transfer between remote computers, turn on, turn off or reboot the remote PC, disabling of remote mouse, keyboard, monitor, and connection through routers, firewalls, and dynamic IP addresses. ConnectWise Control is a self-hosted remote desktop software application that permits the primary user to host the software on their computers or servers, after which the central web application can be made visible inside and outside the local area network (LAN). Through the central web application, the host can initiate a session whereby participants can join in, thereby granting the host access to the remote computer. This alternative to GoToMyPC was developed by the multinational tech giant, Google. It works by transmitting the events of the keyboard and mouse from one computer to another, while also relaying the graphical screen updates back in the other direction, over a network. With it, you can control another person’s computer (diagnose or troubleshoot a problem) as well as connect to another one of his or her own machines remotely. To use Chrome Remote Desktop, users are required to use the Google Chrome web browser, along with the installation of an extension from the Chrome Web Store. To cancel your GoToMyPC account, contact the GoToMyPC Customer Care team on any of the following toll-free numbers.